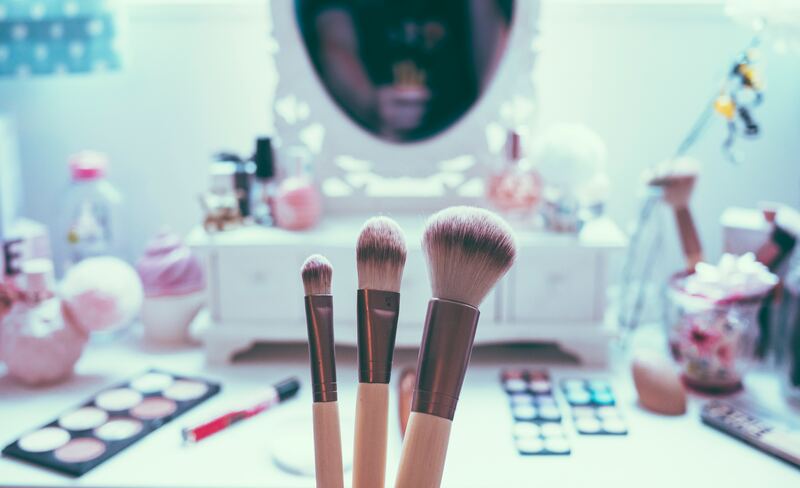 makeup – helping women with Lupus reclaim their health. Last week I jumpstarted my new series by writing about the powerhouse of our detox pathways, the liver! In that post, I focused on all the ways you could nourish your liver so that it could do its important job. Today I want to talk about ways to reduce the toxins it has to deal with, starting with our beauty products. You come into contact with a barrage of toxins every day, in everything from the air you breathe to the furniture you sit on. These toxins cause a laundry list of health problems from acne to cancer. I say this not to freak you out but to impress upon you the gravity of the situation. I also say this to motivate you to take what action you can, i.e. the whole point behind this series. You might not (individually) be able to change the number of pharmaceuticals in the water or the pollution in the air, but you can control what you put onto/into your body. For those in the U.S., the responsibility to ensure the safety of what you are putting into your body falls completely on you. The ingredients in soap, moisturizer, makeup, and other products are not approved by the FDA nor are the manufacturers required to do health studies or pre-market testing. These untested ingredients then end up in your body, your urine, fat cells, and tissues. Triclosan. An antibacterial agent and preservative that among other things is an endocrine (hormone) disruptor and is toxic to our organs. Retinyl Acetate. A product found in many moisturizers that can cause biochemical or cellular level changes. Dibutyl Phthalate. A chemical often found in nail polish that is dangerous for fetal developmental and reproductive health. It’s disconcerting to think about those ingredients hanging out in your shower caddies and makeup bag BUT you have control! Here are a couple of ways to take control! 1. Take an inventory of the products you use, from your shampoo to your toenail polish. Start checking those products or their ingredients against the EWG’s skin deep database. Replace them as you can with safer products. I run any new product I want to buy through the database. Yes, this takes a bit more time but your health is worth it! 2. Use less! We have all been sold a bill of goods about our need to look differently or smell differently than we naturally do, but that is all a part of a campaign to sell us things we don’t need or. The truth is drinking plenty of water, eating plenty of vegetables, getting enough rest, and remembering that you are enough is the most powerful way to look and smell your best. Toxins are everywhere but you have control over what goes into your body. Take the time to learn about whats in your products and then make better choices going forward.